Hard Roots Rock Reggae & Dub--this is the unique blend of music that is Natty Nation. 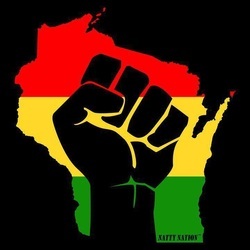 Since 1995 Natty Nation has been keeping the positive messages of their unique indigenous Wisconsin reggae beats throbbing through the heartland. Their messages of peace, love, community, & spreading positive vibrations have been ringing out since Natty's inception. Natty has backed up reggae legends Lee "Scratch" Perry, and Chaka Demus & Pliers, and shared the stage with Ziggy, Damian, & Stephen Marley, Sister Carol, Steel Pulse, Burning Spear, Wailing Souls, Culture with Joseph Hill, Beenie Man, & countless others.